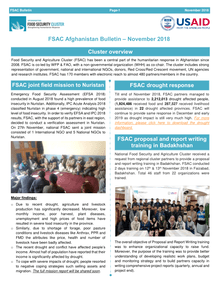 FSAC with the financial support of WFP, human resource support of Ministry of Agriculture, Irrigation and Livestock (MAIL) and its partners and technical support of National Statistics and Information Authority (NSIA) successfully completed the post-harvest Emergency Food Security Assessment (EFSA) in 336 districts of 34 provinces with total 16,000 HHs (rural population) being surveyed. 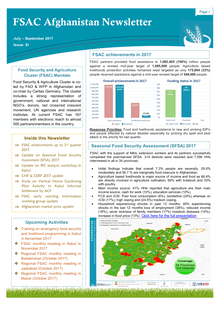 Food Security and Agriculture Cluster (FSAC) has been a central part of the humanitarian response in Afghanistan since 2008. 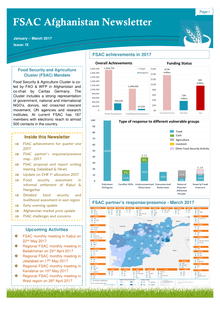 FSAC is co-led by WFP & FAO, with a non-governmental organization (WHH) as co-chair. 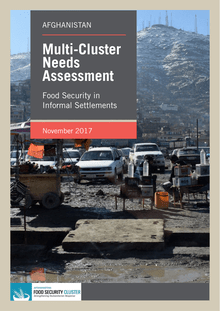 The cluster includes strong representation of government, national and international NGOs, donors, Red Cross/Red Crescent movement, UN agencies and research institutes. 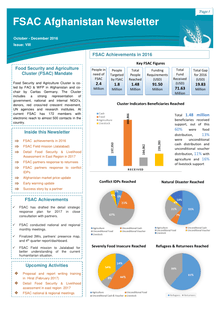 FSAC has 170 members with electronic reach to almost 480 partners/members in the country. 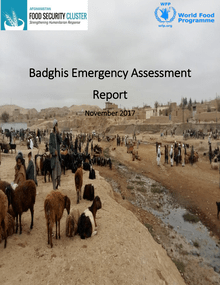 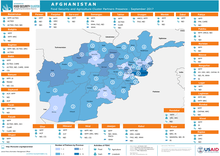 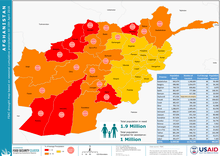 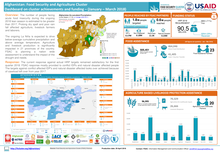 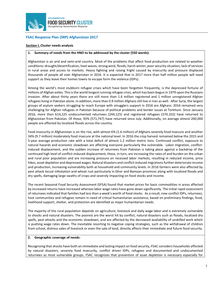 Drought affected almost 6.2 million rural population in Afghanistan as per the recent Emergency Food Security Assessment conducted by food security cluster Afghanistan. 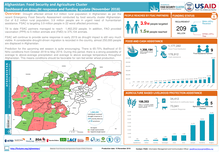 Out of 6.2 million rural population, 3.9 million people are in urgent need of humanitarian assistance. 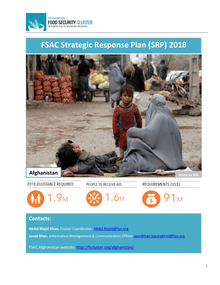 FSAC is targeting 3.9 million people in 22 worst affected provinces. 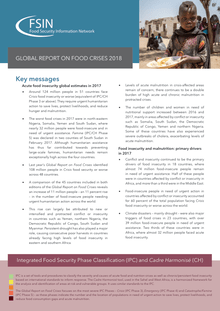 Overview: The number of people facing acute food insecurity during the ongoing 2018 lean season is estimated to be greater than 2017, Prolong dry spell and poor rain fall affected agriculture, livestock farmers and laborers. 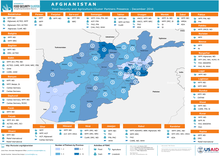 The ongoing La Niña is expected to drive below-average cumulative precipitation and above average temperature. 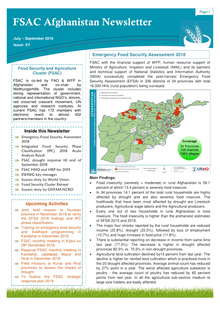 Agriculture and livestock production is significantly impacted in 21 provinces of the country. 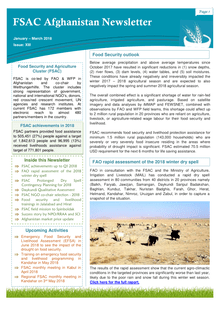 FSAC is planning a nation wide assessment to understand the impact of the drought and needs. 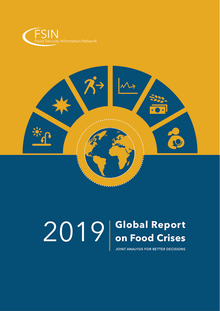 Below average precipitation and above average temperatures since October 2017 have resulted in significant reductions in (1) snow depths, (2) river flows, (3) dam levels, (4) water tables, and (5) soil moistures. 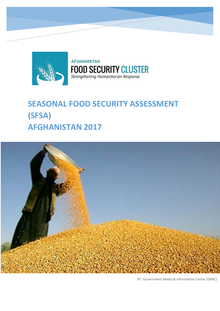 These conditions have already negatively and irreversibly impacted the winter 2017 – 2018 agricultural season and are expected to also negatively impact the spring and summer 2018 agricultural season.